ERA Products offers the best big and tall executive chairs anywhere – even in the entire galaxy! Here’s their top-rated, top-selling handcrafted model – the Galaxy itself. It’s crafted when you order and is loaded with features. Check out the thick, premium contoured cushions, the floating spring seat suspension, two-way lumbar support, four-way adjustable padded headrest, and more. This is the ultimate chair for long-term seating for big and tall people. The flip-up arms offer ease of entry and exit, and it’s available in a huge range of upholstery choices. With a lifetime warranty from ERA and all the features you need, you can be assured of working in comfort all day long. This chair is custom made and normally ships within 4-6 weeks. ERA has set the standard for excellence and quality in heavy duty and big and tall office seating. For over 25 years ERA has developed custom seating for luxury vans, RV's and autos. Now, ERA is pleased to introduce their exceptional products into your home or office creating the most comfortable and supportive state-of-the-art seating. Choose from a variety of ERA big and tall executive chairs and heavy duty 24 hour dispatch chairs all available in a wide range of styles, sizes and upholstery options. Every ERA chair is constructed with a heavy-duty "Lifetime Warranted" steel frame and a high density foam overlay that will see you through your longest workdays. 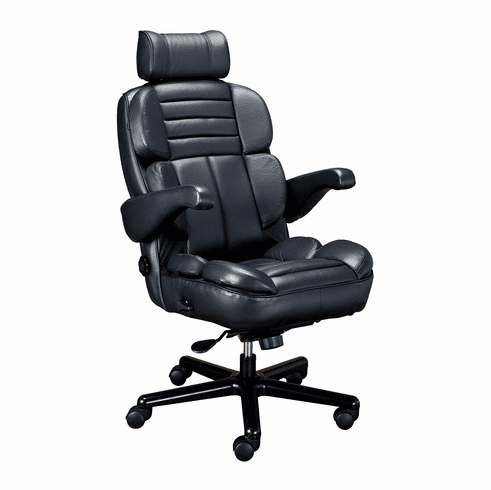 Purchase ERA office chairs at Office Chairs Unlimited and get our lowest price guarantee plus free shipping.